Recently ACO Mold made an injection mold for unmanned aerial vehicle (UAV) frame, here is the UAV's plastic body making process. 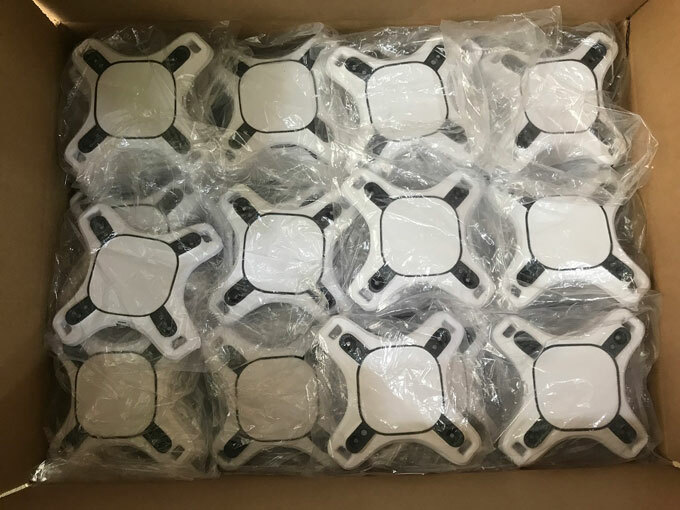 Considering the UAV industrial demands, estimate annual production capacity will be 20K or more, in order to avoid mass production capacity shortage, not like low volume injection molding, ACO Mold manufactured separate molds for each part. 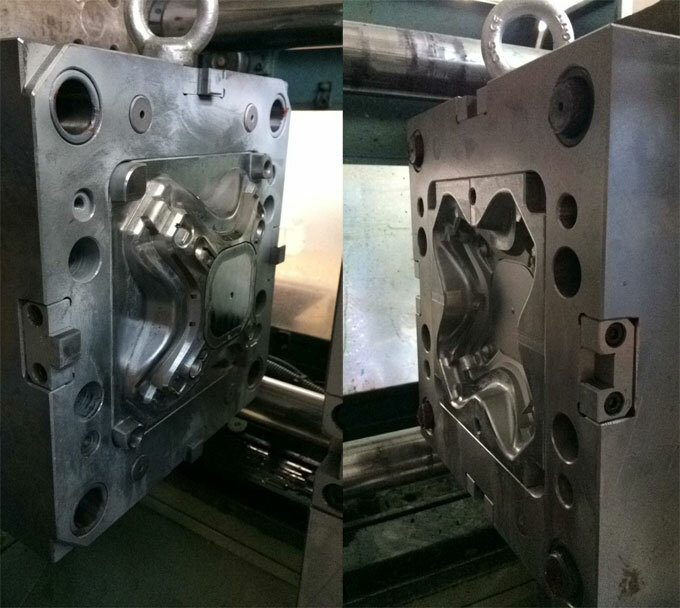 Before making the injection mold, ACO Mold did DFM and product analysis, verified some important information with customer, i.e. parting line, gate position, ejection, etc. 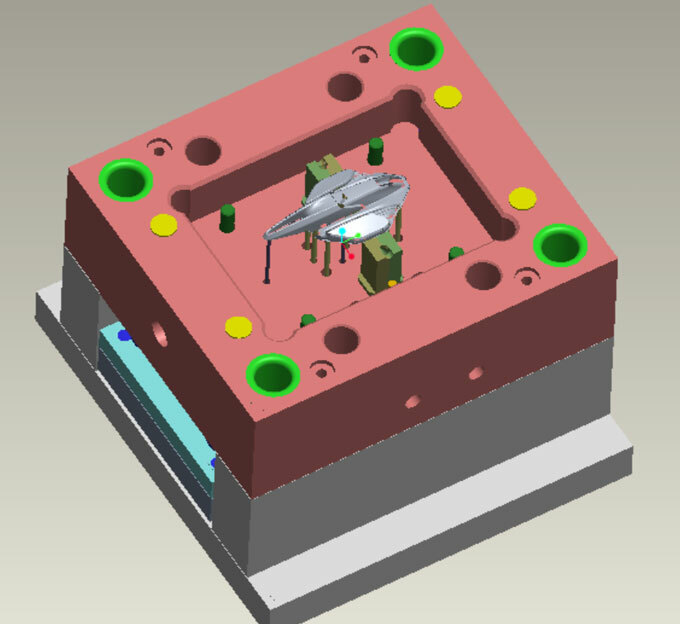 Then ACO Mold confirmed related information with the customer, and did 3D design for the mold as below drawing shows. 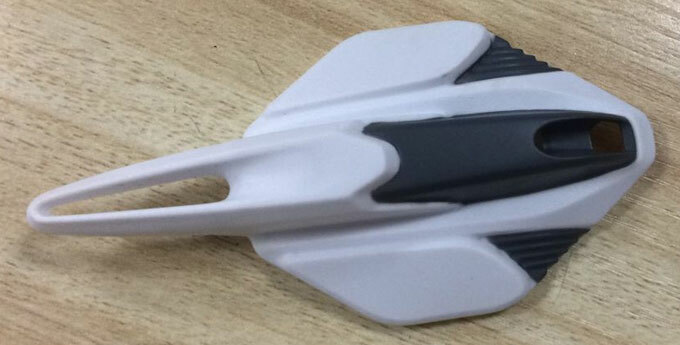 Injection mold manufacturing took 4 weeks, ACO Mold did T1 sample test as scheduled. 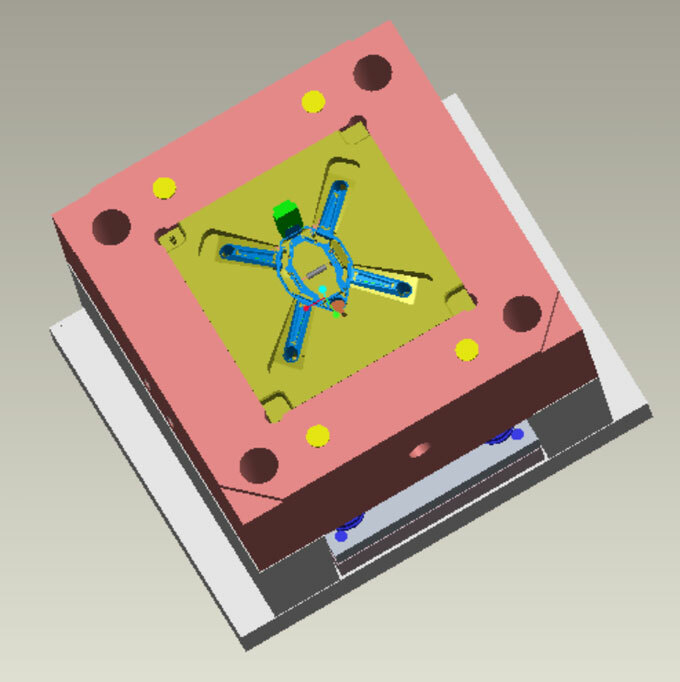 We did assembly performance inspection with first sample, check some surface issue, i.e. welding line and shrinkage etc., but with good assembly status, then we sent T1 sample to customer, and clarified the surface issue and solution. After customer received the sample and inspected, then we can do the modifications accordingly. After customer received T2 sample, carried with the UAV power system to do analog flight experiment. As the UAV is newly developed, customer thought the impact strength should be improved. 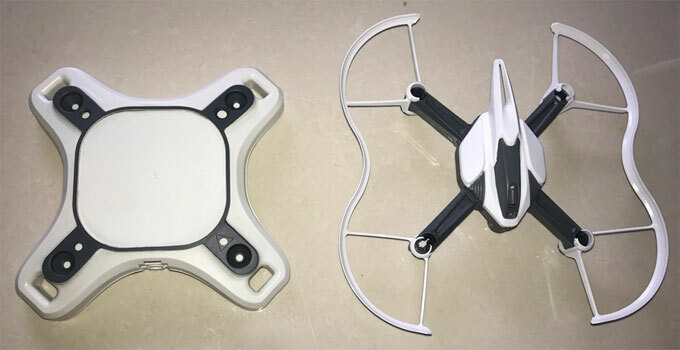 Therefore, we strengthened thickness for some areas, and changed the UAV's plastic frame from PP to PA66, in order to improve the impact strength. 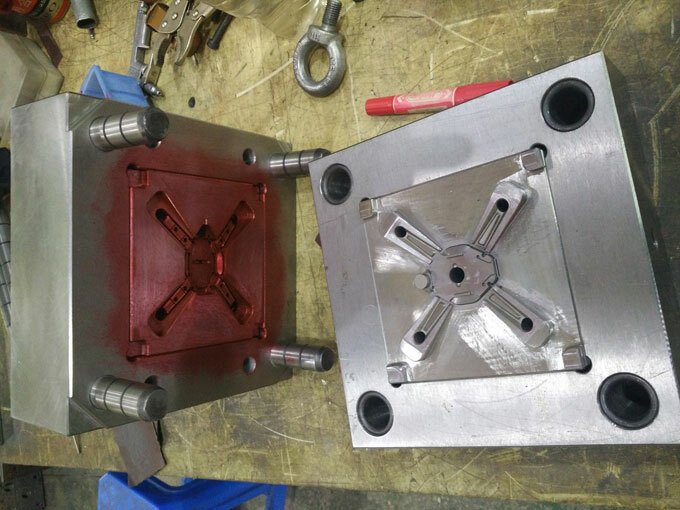 At last, ACO Mold did T3 sample test, customer was very satisfied with the result. Then ACO Mold proceeded with mass production. Refer to below drawing for final overall assembly. Some documents are available for reference, please contact ACO Mold to get the documents if you need.